Genexine and NeoImmuneTech said Thursday that they have presented two poster sessions regarding GX-I7, an immunotherapeutic drug candidate, at the American Association for Cancer Research (AACR) held in Atlanta, Ga.
Genexine's GX-I7 is a fusion of cytokine interleukin-7, which plays an essential role in the proliferation of T cells in the body. The company expects that it will have a synergistic effect when combined with various immunotherapeutic agents while serving as the only treatment for lymphocytopenia, which is common in cancer patients receiving chemotherapy and radiation therapy. The first poster session, led by Professor Lee Hyung-gi of the department of clinical pharmacology at Seoul National University Hospital, focused on the study to confirm safety and T cell increase in healthy adults. The study demonstrated that GX-I7 was safe and increased T cells depending on the dose while showing significant increases in Killer and memory T cells necessary for anti-cancer effects. Also, the study confirmed that the dose of GX-I7 increased safely in clinical trials for ongoing cancer patients and that the increase of killer T cells was proportional to the dose of GX-I7. The second poster session, led by Professor Lee Seung-woo of Pohang University of Science and Technology, studied anticancer mechanisms through analysis of immune cells as well as cancer tissues. Administration of GX-I7 in the anticancer animal model significantly increased Killer T cells, while the same Killer T cells had sufficient anticancer effects and shifted toward the cancer cells. Besides, Killer T cells showed a high response rate in cancer tissues when administrated with GX-I7, whereas regulatory T cells and myeloid-derived suppressor cells (MDSC), which inhibit the anti-cancer activates showed a low response rate. 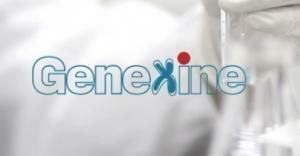 Genexine and NeoImmuneTech are exploring optimal dosage for its phase 2 clinical trials into solid and brain cancer while collaborating with global pharmaceutical companies to develop triple-negative breast and skin cancer patients in Korea and the U.S., he added.